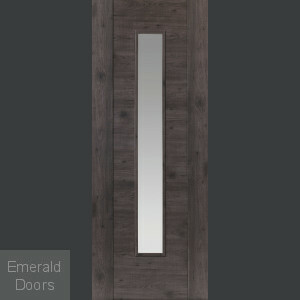 At Emerald doors, we have a collection of prefinished internal doors. These doors hardly demand any time for finishing and are instantly dispatchable. They save both time and energy and avoid any paint spills in your workplace or home. If you are looking for fully finished doors easy-to-fit and use then you can take a look at our amazing collections of internal doors. Our collection of internal oak doors can be paired with a variety of other collections that include fire doors, oak glazed doors, and other such collections. These doors undergo complete factory finishing with high glaze and fine polishing. This makes the doors more durable and stronger. This provides fabulous results. 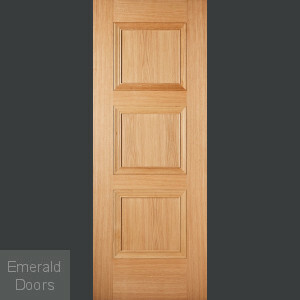 Prefinished doors are strong and assure that they can blend with any interior styles. They have stronger factory finishes and are quite resistant in terms of changing requirements. They are preferred choices for high humidity areas such as bathroom or kitchen entrance. They are easy-to-install which saves your time from polishing and extra touches. 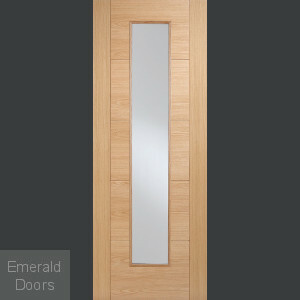 At Emerald Doors, we offer oak doors in various styles and sizes that can suit your homes or business. 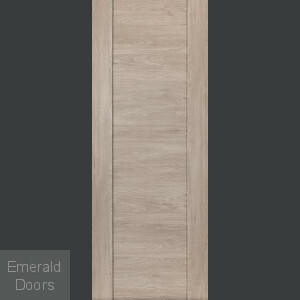 Our internal oak doors are the most popular ones amongst our customers. They offer a magnificent look and finishing at an affordable rate. Every internal oak door from our collection is lacquer-coated up to 6 coats and that maintains the paint’s consistency. This leads to an absolute finished and defect-free product. Here are some major areas which describe how different are prefinished doors from the unfinished ones. Prefinished doors are time and money saving. They are easy-to-install and can get along with any interior designs. While an unfinished door is more like a DIY project. You need to apply several finishing coats of your choice to the unfinished doors before you get them into position. Ideally, all this needs to be done after a bit of processes such as sanding, washing and drying. This ensures that unfinished doors are smooth and no excess moisture gets trapped within the applied coats. This needs to be done before installation of doors. this before the door has been put into position. Prefinished doors are actually self-explanatory. It is completely ready for installation. It is coated with paint, varnish or wax. Typically, these doors are not painted or stained. They are properly sanded before finishing. They are prepared with exact standards at the factory level with techniques and well-equipped machinery. An unfinished door is designed in a way to be finished later by the company or the user. This brings some amount of flexibility. If you prefer your door to be of your specific choice of color, then the option of the unfinished door is the best one. And this is possible only with the wooden doors that require proper finishing. While plastic doors and metal ones don't need any paints or coats to be applied. Prefinished doors are made from several materials. Out of these materials, metal, wood, and vinyl are the common ones. Some doors are entirely made from single sort of material. The combination of materials beneath the surface ensure good insulation, cut down costs and prevent these wooden doors from getting degraded over time. Prefinished hardwood is stronger and durable. They resist a lot of punishments when compared with their counterparts. When you finish doors at home, especially the unfinished ones, you have to apply two to three coats of paints or varnishes. While the modern factory processes involve the application of more than seven different coats. This also involves baking with aluminium oxide that ensures rugged coating for the doors. Unfinished doors are mostly bare wood. These doors need a complete furnishing before they are ready to be installed. While prefinished doors have a single layer of coating beneath the surface. It also depends on the type of the material/s the doors are prepared from, budget and the look and feel of the room. Prefinished doors are the most convenient options while you go for a selection of doors that reflect your livelihood. They are cost-effective and time-saving. They save time and cost as there is no further expense in buying coats, paints or varnishes. They are readymade and that's an ultimate reason to buy it. Furthermore, it is finely finished stripped and painted that gives a good look that matches your interiors. They need little extra money but require less labour before installation of the door. While in the case of unfinished hardware, it will cost you more and require a lot of productive labour work. This makes the prefinished internal doors a perfect choice. They are colour-coordinated with any interiors. However, these are only available in a minimum range of colors. So, it is recommended to customize the room's doors in a way that they match your interiors. 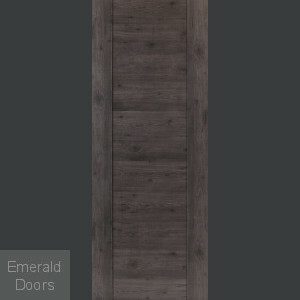 At Emerald doors, we acknowledge the benefits of prefinished doors. The most important thing is that it saves a lot of time as once done, it requires a very little amount of work. Some mechanics work is required like connecting the screws and fixing the door with the frame. You might need a handful of tools or with the help of volunteers. 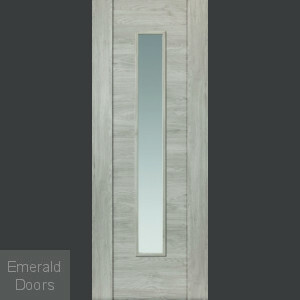 At Emerald Doors, we have a wide collection of pre-finished and unfinished doors. We deliver our trustable and durable doors to our customers within mainland UK. You can contact our sales team and they will be delighted to introduce to our best collection only for you. They are always happy to guide you based on your requirements and demands. We are pleased to serve you to the best of our internal pre-finished doors. We cater all your needs, budget, style and taste. We ensure you that our products will withstand time and reflect your personality and space. We promise rapid deliveries nationwide to our customers. So, do not settle for less, contact us. You can email us at [email protected]. You can also contact us on 0845 62 50 755 and we will be happy to serve you with the best.